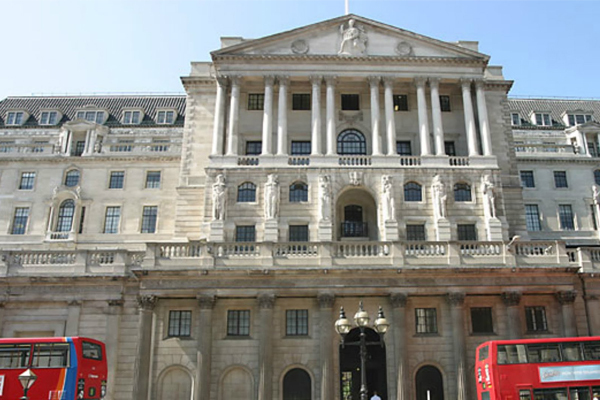 Bank of England: Why might central banks issue digital currencies? Taking into account that Bitcoin could revolutionize the existing methods of payment, the Bank of England’s “One Bank Research Agenda Discussion Paper” investigates the possibility of minting its own cryptocurrency. The emergence of private digital currencies (such as Bitcoin) has shown that it is possible to transfer value securely without a trusted third party. While existing private digital currencies have economic flaws which make them volatile, the distributed ledger technology that their payment systems rely on may have considerable promise. This raises the question of whether central banks should themselves make use of such technology to issue digital currencies. There are two parts to this question. The first is whether there is any rationale for a central bank to issue a digital currency supported by some form of distributed ledger payment system. The second addresses the economic, technological and regulatory challenges of doing so. There are several different ways in which a central bank might make use of a digital currency. It could be used as a new way of undertaking interbank settlement, or it could be made available to a wider range of banks and NBFIs. In principle, it might also be made available to non-financial firms and individuals generally, as banknotes are today. The costs and benefits for monetary and financial stability would likely vary in the different cases, being more pronounced the more widely a digital currency is held. For example, making central bank money widely available could have an impact on deposits held at commercial banks and a knock-on effect on the banking system. Another relevant issue is the impact that offering a new method of settlement in central bank money would have on existing payment systems. One important issue is the type of technology which could be deployed. There is more than one way in which a distributed ledger system can work, and remuneration would have to be designed in such a way as to incentivise honest participation in the system without leading to socially inefficient over-investment in transaction verification. Further research would also be required to devise a system which could utilise distributed ledger technology without compromising a central bank’s ability to control its currency and secure the system against systemic attack. Digital currencies also raise regulatory issues. These fall into three categories: systemic, prudential and conduct. The systemic issue is developing the protocol itself, the rules of which govern how a technological system works. The first question is whether a protocol for a central bank issued digital currency could be developed at all. This would need to engage both the technology and financial sectors as each brings important and distinct expertise. Creating such a system would entail creating a protocol for value transfer over the internet, akin to what Berners-Lee (1989) did for information. Firms offering digital currency services, such as wallets or currency exchange, would operate on top of the platform, raising the question of how they should be regulated (eg see Yee (2014) who sets out how this could work in relation to Bitcoin). As they would not be offering to hold funds on their own account, the prudential regulatory issues would probably be different from the conventional focus on capital and liquidity requirements at existing banks. Conduct issues, particularly those relating to know your customer (KYC) and anti-money laundering (AML), would also have to be addressed by such firms. Further research would also be required into how digital identity management could be achieved (Brown (2014)) while balancing privacy considerations. From a monetary and financial stability point of view, what are the costs and benefits of making a new form of central bank money accessible to a wide range of holders? What would be the impact on existing payment and settlement systems? What are the implications for government-backed deposit insurance if central bank money is widely accessible by households and businesses? Should central bank issued digital currency balances be remunerated and if so, should remuneration be linked to the official monetary policy interest rate? How would the monetary policy transmission mechanism then be affected? If transactions balances could migrate to digital currency, how would banks compete? Would there be any implications for the availability of credit? What would be the costs and benefits of different central banks using a common platform for issuing digital currencies? What type of distributed ledger technology would be most appropriate for a central bank backed system? How could institutions offering access to central bank issued digital currencies be regulated?